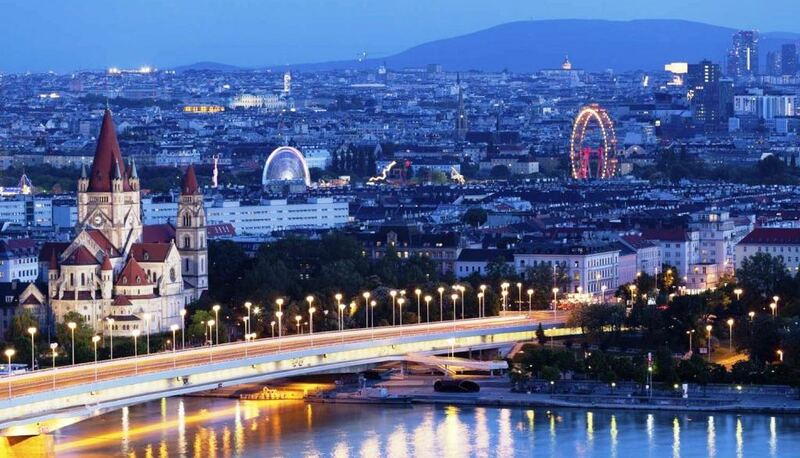 Vienna city walks, lectures about Austrian art and culture, Viennese waltz courses, sports and many more activities are included in the price. Neusiedl and many other destinations at cost price! The German you will learn in Vienna is “Hochdeutsch”, which is the language’s standard form and spoken throughout the German speaking world. The German spoken in Austria is melodious and spoken at a steady and even pace which is often helpful to those learning German. ActiLingua guarantees quality and only uses the textbooks used in the best German language schools. Modern school with 6 bright, welcoming, tastefully furnished classrooms in a typically Viennese Art Nouveau building. Centrally located in Vienna’s embassy district; opposite “Schloss Belvedere”. City centre (Stephansplatz) 15 minutes away by public transport. ActiLingua multimedia library featuring 17 workplaces with computers and free internet access. Free WLAN/Wi-Fi in the whole school. Newspapers, magazines, DVDs and CDs can be borrowed. Student lounge with coffee, cold beverages and snacks. 10-15 additional classrooms next door at the ActiLingua-Dependance Sacré Coeur for our Holiday Course 16-19 and other courses. Small international study groups: maximum class size: 12 students (Standard Course) or 8 students (Intensive Course). 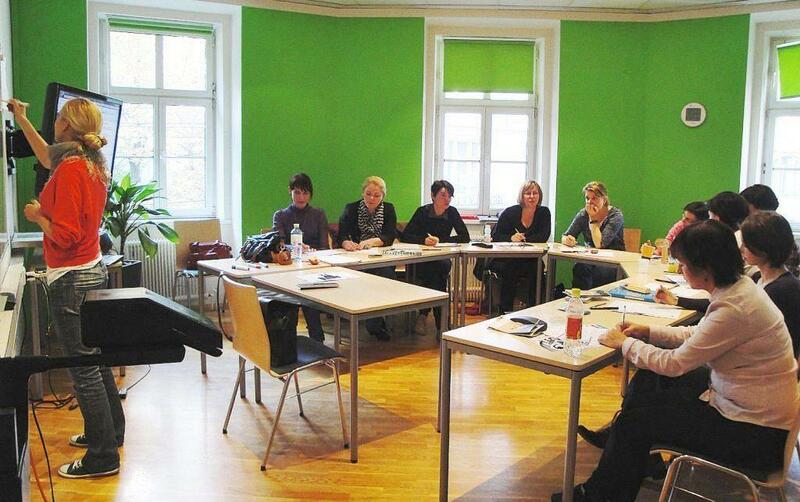 All teachers are native speakers of German, highly qualified and enthusiastic, and receive regular training. Modern equipment and communicative teaching methods. Special courses: Business German, Academic Year and University Preparation, German and Music, German and Work Experience, German and Wintersports. 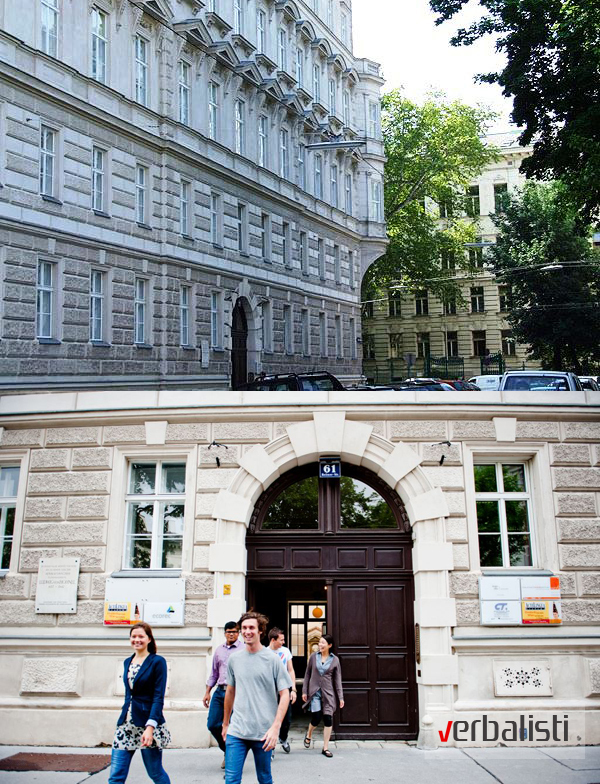 Examination centre for the Austrian German Language Diploma OSD, University entrance certificates (OSD – B2 Mittelstufe Deutsch and C1 Oberstufe Deutsch). The above rates do not include: €80.00 registration & course enrollment fee, airfare and local transportation costs, airport transfers and travel insurance. You study for four lessons every morning or afternoon from Monday to Friday. You study in groups of an average of 8 and a maximum of 12 participants. You have sufficient free time for self-study, sightseeing or relaxing. 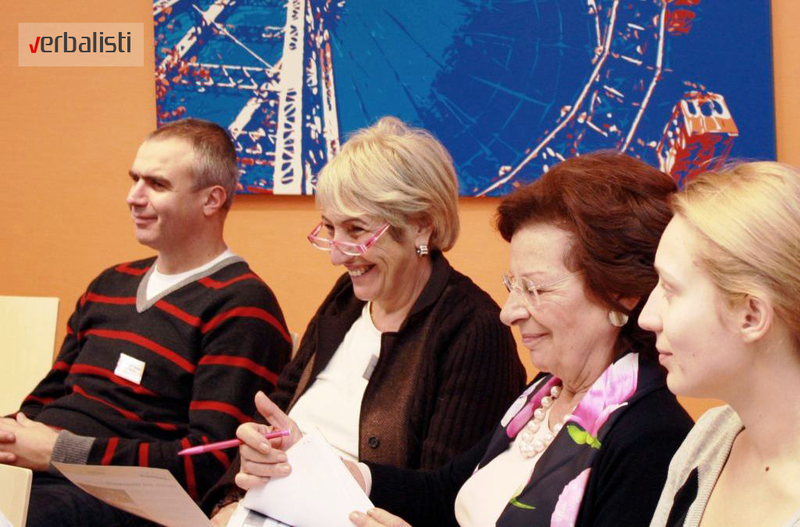 The main emphasis is placed on improving your general German and your communication skills. 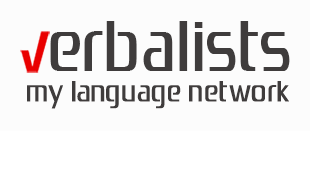 Lessons in grammar and conversation help you with syntax and vocabulary building. You practice formal and informal letter writing, and work on listening and reading comprehension. Each group is taught by two teachers per day in order to ensure more varied and stimulating instruction. Hence, participants are made familiar with different individual styles of teaching, teacher personalities and variations in pronunciation of modern German. 5 lessons (2-3 times) per week of cultural and leisure program included: e.g. Vienna guided tours; talks and videos about Austrian music, art, history, literature and architecture; Viennese waltz course; parties; sports. Lessons: 25 per week: German course (20) + cultural program (5), 1 lesson = 45 minutes. Group size: average 8 – max. 12. Level: all levels all year round. Minimum age: 16 years, average age 18 to 35 years. Suitable for anybody wanting to make rapid progress in short time. You study six lessons a day. Four of these lessons are held in groups of an average of 8 and a maximum of 12 participants and two lessons a day are in small groups of 5-8 participants. 5 lessons (2-3 times) per week of cultural and leisure programme included: e.g. Vienna guided tours; talks and videos about Austrian music, art, history, literature and architecture; Viennese waltz course; parties; sports. Lessons: 35 per week: Standard Course (20) + minigroup (10) + cultural programme (5). Group size: Standard Course: 8-12, minigroup: average 5-8. Minimum age: 16 years, average age 18 to 40 years. ActiLingua Residence is ideal for students who wish to stay in a comfortable shared room, close to the city centre and close to the school. Completely self-catering with fully equipped kitchen or breakfast/half-board option.Feel at home in our friendly ActiLingua Apartment Residence! 20 modern Superior Apartments ensuite and Standard Apartments (single or shared bedroom) offer you recreational space and contact with other international students – only 10 to 15 minutes from the language school and Vienna’s city centre.A recently renovated Art Nouveau building in a calm Viennese neighborhood is the perfect starting point for successful learning, amazing walks and interesting tours in the European metropolis of arts and culture. All apartments are non-smoking. 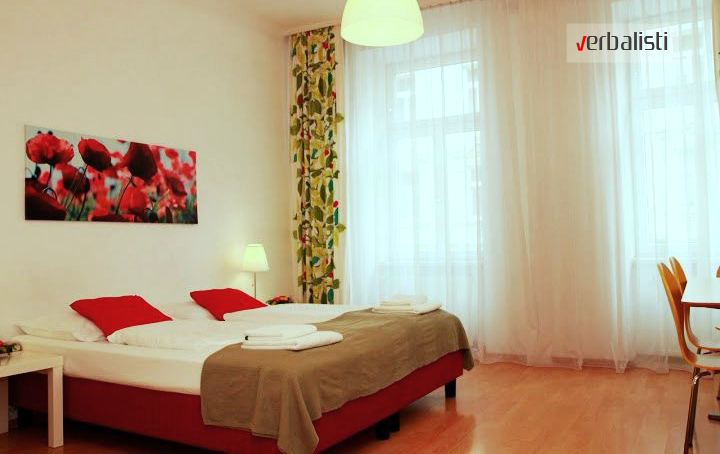 Your own serviced apartment in Vienna for single use with private kitchen, bathroom and toilet (30-40 m2). Sat TV, radio and free WLAN/Wi-Fi. Rooms are cleaned Monday to Friday. Bed linen and towels are provided. You’ll live in a single or twin room with other ActiLingua students in a holiday apartment (60-75 m2) in Vienna. With Sat TV, radio and free WLAN/Wi-Fi. Shared use of kitchen, bathroom and toilet. Hotel service: Rooms are cleaned twice a week. Bed linen is provided; please bring your own towels. The nearest tube station (U3 “Zippererstraße”) lies within 5 minutes walking distance. From there it takes 10 minutes to reach the city centre (“Stephansplatz”). Major sights close to the ActiLingua Residence include the baroque masterpiece the Belvedere Palace with its spacious Botanical Gardens, Hundertwasser House and the very popular Vienna Gasometer complex with its restaurants, shops, a supermarket, cinema, gym, private apartments, concert hall and a municipal archive. 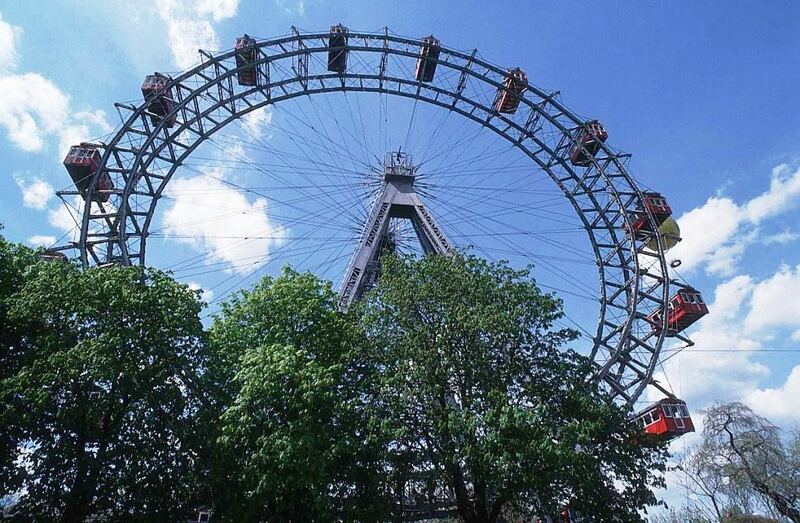 Many other attractions as well as the world famous Giant Ferris Wheel are waiting for your visit in Vienna’s Prater which you can reach within 30 minutes by means of public transport. Underground station and tramway station are within 5 minutes walking distance. Participants of ActiLingua’s German courses usually arrive on Sunday and depart on Saturday. Other dates for arrival are possible upon request. Filling out the PRODIREKT Application Form and Terms & Conditions does not secure a place on the program, nor does it mean you are under obligation to attend the course you are inquiring about. It is simply the first step in the application process, so that we can give you precise program details and check availability on the desired course. A contract is signed directly with the school, and a place is confirmed after a deposit or the whole course fee is settled.